Group 1 Winner for Captain Gerrard! 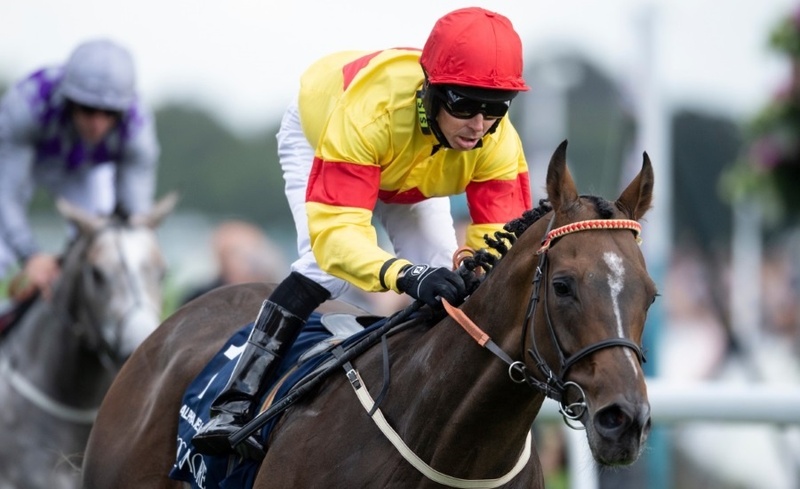 There was a dramatic outcome in the Nunthorpe Stakes at York when it took a photo finish to determine that ALPHA DELPHINI had prevailed by the narrowest of margins, in the process becoming our stallion Captain Gerrard’s first Group 1 winner. ALPHA DELPHINI has been running well in defeat all season at Listed/Group 3 level, including when just under 1l behind Mabs Cross at Newmarket in the spring, and he gained his revenge here on the most important day. Nibbled at in the betting, but still sent off a big price, he was never far away racing centre-field and showed a cracking attitude to take the prize after it had looked as if the filly would get past him. He may be seven, but is clearly at the peak of his powers and he’ll presumably head for the Prix de l’Abbaye next, a race his half-brother Tangerine Trees won. Bred by Mrs B A Matthews and trained by Bryan Smart, we are delighted for all connections! Mickley Stud is at Wolverhampton Racecourse.